Utah might not be the first place that comes to mind when you think about crop circles, but they're here: Most of Utah's crop formations concentrate in the Logan Area / Northern part of the state. 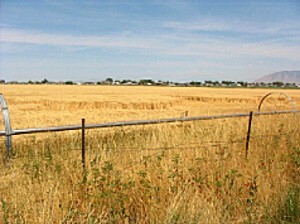 >2004 -Latest CROPCIRCLE Appears In Spanish Fork, Utah! be on lookout for new 2006 formations! l Another Utah Cropcircle ? Grantsville fields show strange patterns, looks like wind damage, UUFOH to look into this report, witnesses have video and photos. l MAiZE, a Utah Company that Makes Crop Circles? UTAH Has Had 10 CROPCIRCLES that are known or reported. 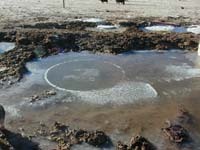 Something carved a perfect circle in the ice at the Bigelow ranch. The circle was just under six feet in diameter and seemed oddly reminiscent of the crop formations seen in wheat fields. Another Ice circle in 2003! UUFOH was sent a copy of this film from the director for a review. We played the Film at our October 19 / 2002 UUFOH - MUFON Meeting. We very much enjoyed this great documentary! Excellent, Beautiful! 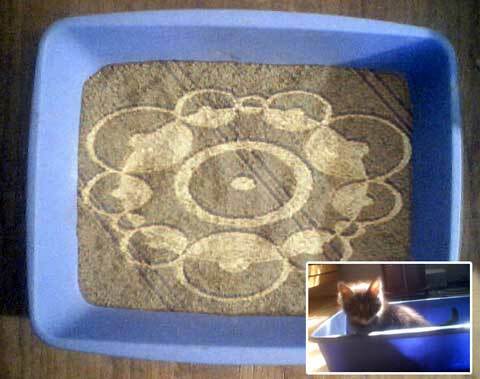 l "2012 and the Crop Formations"
l Do you believe in circles? get it at the UUFOH STORE!